I did some exploring on my own Thursday, walking the beautiful streets of this city in the Yucatan Peninsula, stumbling upon one cool thing after another without ever straying more than six blocks from my hotel. The museums, the architecture, the Spanish colonial influences, the art galleries, the restaurants, the churches… and I haven’t even seen the beach yet, which I’m told is magnificent. So I wondered to myself – why hadn’t I heard of Merida before? I wouldn’t say I’m “worldly” like The Most Interesting Man in the World in the Dos Equis commercials, but I wouldn’t say I’m a recluse, either, and I do consider myself well-read. So I figured it was time for a little unscientific social experiment. 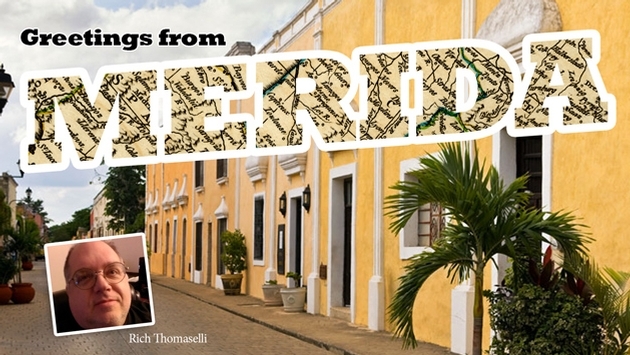 I would take the question straight to the people of Merida and ask them: Why haven’t many foreigners heard of Merida? Why isn’t it as well-known as, say, Cancun? Pretty sure that’s the last time I’ll be asking that question.